What FPGA Development board should you buy with your hard-earned money? It’s a fair question, and there’s not always a clear answer. Here, we'll compare and contrast three FPGA development boards currently on the market. The comparison is limited to boards that are suited for beginning to intermediate FPGA designers. Some boards cost thousands of dollars, and it’s unrealistic to compare a board of that cost to a board that a hobbyist would likely choose, so this comparison looks at three popular boards in the sub-$90 price point. The Go Board is a relatively new FPGA development board designed by Nandland. At $50, it's the least expensive board on this list, but it provides a slew of peripherals for a variety of different projects right out of the box. It comes with 4 LEDs, 4 Push-Buttons, two 7-Segment Displays, a VGA Connector, and an External Connector. The board is programmed, powered, and communicated with via a single USB Connection, so no external power supply is required. Another benefit to this board is that it is supported with many tutorials available here. Check out the Kickstarter for an overview of some cool projects. This board uses a Lattice FPGA at its core. Lattice is a smaller player in the FPGA market compared to Xilinx and Altera; they mostly cater to lower-capability designs. That’s not to say their high-end FPGAs are slouches, but they seem content to let Altera and Xilinx duke it out on the really high end of the FPGA market (think Zync vs. Stratix 10). Lattice has found a nice niche market and they seem to be doing quite well with it. And really, when you’re making projects with VHDL or Verilog, you’re writing code that’s portable between FPGA companies anyway (since that’s kinda the point of those languages: to be portable), so Pong will work equally well if it’s an Altera or Xilinx or Lattice FPGA. The Mojo board had a phenomenally successful Kickstarter campaign, raising over $100,000. It is a sleek-looking FPGA board with a Xilinx Spartan-6 at its heart. The board a handful of Input/Outputs (I/O) for connections to the outside world. It requires a separate power supply, as well as a USB connection. One nice thing about this board is that the USB connection interfaces to a microcontroller. If you want to play with this particular microcontroller and an FPGA at the same time, this board makes that readily available. If you have a project in mind that requires many I/O connections, then this is your workhorse: with 84 I/O ports, it has the largest number of connections of any other board on this list. Additionally, it has 8 analog inputs, should your particular project require interfacing to some analog circuitry. One downside to the Mojo is that it uses a Spartan-6 FPGA, which requires Xilinx’s ISE Design Suite. 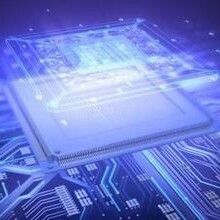 ISE has been made obsolete with Xilinx’s new push of their Vivado Design Suite. That might be for the best though: Vivado is a very heavy-handed design suite. If you’re a new FPGA designer, though, it’s overwhelming and you won’t be using the vast majority of its functionality. The Papilio is an FPGA board similar to the Mojo. It has a Xilinx Spartan 6 surrounded by 54 Input/Output connections. It also provides a 2MB SRAM, so if you want to do some projects that require external static memory, this is a decent choice. The Papilio board is programmed via the same Microcontroller as the Mojo board (Atmega32U4). The Papilio has been around for a couple generations, so there is a decent amount of support for it. Additionally, the creator has designed a large number of “wings” for the Papilio board, which enable you to interface to a large number of peripherals. These wings are similar in concept to the Arduino Shields. The one downside of this board is the relatively high cost: at $99.99, it is the most expensive board on this list. 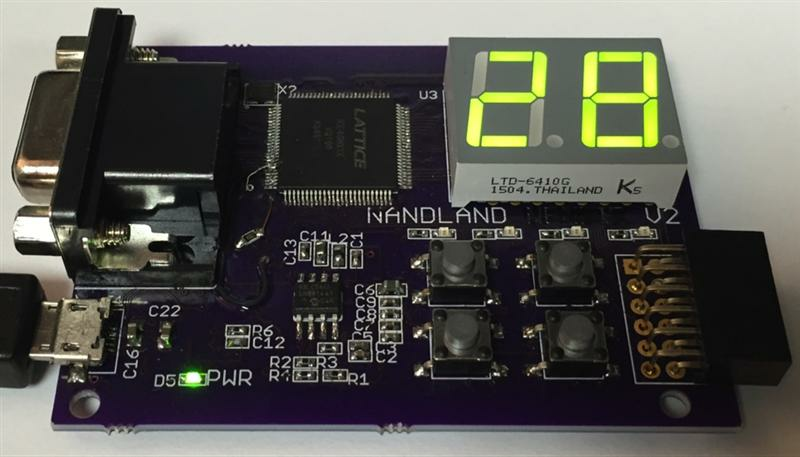 Out of the three boards we looked at, we'd recommend the Nandland Go Board for an Introductory or Intermediate FPGA designer. It has the lowest cost, provides the most on-board features, and is supported with a large number of fun projects. No matter which board you ultimately choose, FPGA design should be fun and exciting, so enjoy!